Meanwhile, Sena Union managed to run three buses around 6.30 AM. In view of BEST buses strike, the Central Railway will run extra services to the existing services. Mumbai: Over 32,000 BEST employees are on an indefinite strike demanding higher salaries, the merger of the budget of the loss-making transport undertaking with that of the Brihanmumbai Municipal Corporation (BMC), resumption of appointments on compassionate grounds, and bonus equivalent to that of the BMC employees among many others demands. According to a report, BEST showed five drivers and five conductors have so far reported for duty early morning. Meanwhile, Sena Union managed to run three buses around 6.30 AM. In view of BEST buses strike, the Central Railway will run extra services to the existing services. Harbour line: Vashi departure 13.44 hrs and CSMT arrival 14.32 hrs. CSMT dep.14.45 hrs and Panvel arrival 16.05 hrs. Apart from the Central Railway, the Western Railway suburban section will also be running 12 extra services today due to BEST strike. On Tuesday night, the Shiv Sena-backed BEST Kamgar Sangathana, which is one of the factions leading the strike, said it was withdrawing from the agitation following assurances from the BEST administration that it will look into the workers’ demands. However, BEST Workers Union head Shashank Rao remained adamant on continuing with the strike. Yesterday too, the suburban railway network running a few extra services, and the MSRTC operated 55 additional buses across select routes. 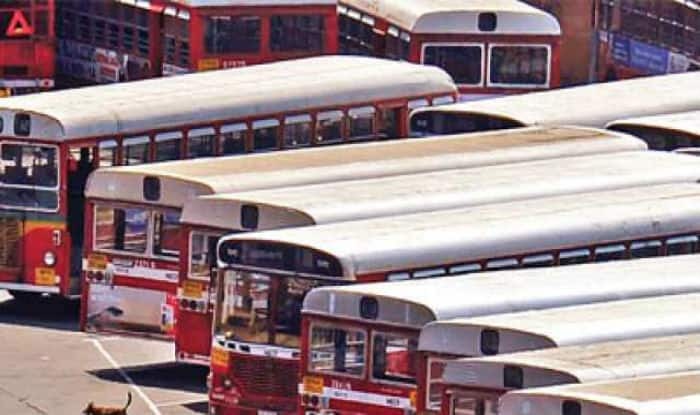 The BEST has a fleet of over 3,200 buses which criss-cross Mumbai and in Thane and Navi Mumbai, making it the second-biggest mode of transport in Mumbai after local trains, which ferry over 80 lakh passengers every day. The state government on Tuesday invoked the Maharashtra Essential Services Maintenance Act (MESMA) against the protesting employees. Several Mumbaikars complained that autorickshaw drivers and cabbies were charging up to five times more than the normal rates even as a meeting between BMC chief Ajoy Mehta and union leaders failed to break the impasse. “The strike is illegal, and the agitating staffers have been asked to resume work immediately. They must understand the implications of MESMA,” a senior BMC official said.